for in the day of trouble they shall be against her round about. Infiltrate quietly – take up residence within the target country – blend in, reconnoiter your local area, and when the order is given, cause havoc and destruction. You might want to look up the word FANNERS just to educate yourself – so see how accurate the Lord really is. It tells you that our concept of time and space and not the same as the Lords, for He sees all things from the beginning to the end, Alpha and Omega. There have been many verified reports of foreign troops being brought into America. Chinese, Russian, Belgium and many “non-Mexican” troops are being quietly slipping across our borders and take of their residence in cities all over America. Long ago a woman who was working relief operations along the Mexico-America Border told us that she had seen maps of cities these folks were to go to and silently take up residence there. Numerous reports from Canada have spoken of Russia troops in the Canadian Queensland (National Forest land). The truth is that America has been encircled and these enemies within and without are now awaiting the call to pounce and destroy this nation and punish the rank corruption and apostasy of the American people. We are surrounded by enemies that not only want to bring us down and slaughter us, they are now within and have infiltrated every level of government and so there is no escape. You see, we not only kill tiny babies, we are a sick people. VERY SICK, even beyond repair. And we have refused the only one who could heal us. We are to busy, we have this job to do, that job to do, and further, this report must be completed. That field must be sown, and I must watch this football game. There is no end to it. No one has any time for the Lord now. “But I pray every morning and I read a verse of Scripture every night”. Really – wow, that is something!! If true you are a rare bird indeed, a person to be put on the government watch list – and most likely the Lord’s watch list as well – but not for the reason you might think. But the problem is we WERE declared a Christian nation. The Supreme Court ruled we are a Christian nation TWICE. THAT MAKES IT OFFICIAL, AND THAT MEANS AMERICA CAME UNDER THE LORD’S COVENANT. As long as we obeyed, we got the BLESSINGS OF THE LORD, which you will find in Deuteronomy 28. But you see, we did not obey God and now we have the CURSES, and those curses are now upon us BIG TIME. And they will stay until America-Babylon is TOTALLY DESTROYED and all HER PEOPLE ARE DEAD. little girls mother instantly broke down crying, saying its true, grabbed the daughter and left. rumors they never expected to hear this from a child. Maybe we are all guilty of selling our heritage for a bowl of pottage. Maybe instead of watching the Super Bowl selling Satan and his agenda, the American people should have read their Bibles. But we know they will not, and we know they will not repent. “We would have healed Babylon, but she would not be healed.” –So it is what it is, is it not? held them fast; they refused to let them go. I might be wrong, and usually am, but this sounds an awful lot like a ROUNDUP OF CHRISTIANS AND JEWS TO ME, it sounds like you would have to have very large and multiple CONCENTRATION CAMPS to hold all of these people – like perhaps FEMA CAMPS, maybe? Could you perhaps then tie all of this back to the FUSION CENTERS, THE NSA COLLECTIONS, TO HOMELAND SECURITY, FEMA, and lots and lots of hollow point bullets and tank type vehicles, and all of that type of stuff? Then of course all of this goes back to Psalm Two and what all of this is about in the first place. The people of this planet really do have a hatred for the ONE TRUE GOD. It shows up all the time. Of course, as Psalm Two says, God laughs at them and then destroys them all. So something is coming upon America very soon now. Financial collapse, false flag, the removal of the true Bride of Christ? Who knows, but I think we are all going to find out real soon. 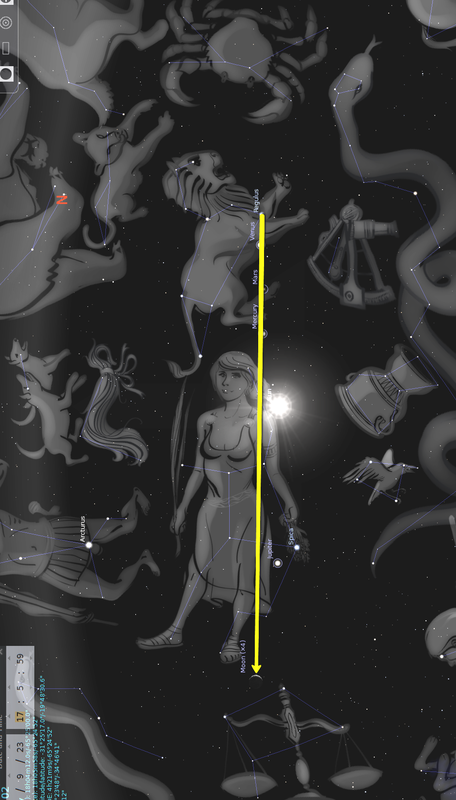 Is the Revelation STAR SIGN on September 23rd, 2017 on the Feast of Trumpets is a BIG CLUE? As Ed Sullivan would say, IS A REALLY, REALLY BIG SHEW about to occur? And if we actually supposed to come back this way 1260 days to April 11th, 2014? Well then, that might mean the ONE HOUR OF TAKING AMERICA IS ABOUT TO BEGIN, for the ONE HOUR is defined in Revelation exactly 42 months, 1260 days or a time, times and half a time, and that means that the first half of the Tribulation Period is all about the taking of America, the RISE OF ANTICHRIST/LUCIFER! That means the rounding up of all dissenters and putting them in the waiting FEMA/ARMY/NORTHCOM/HOMELAND SECURITY/ ILLUMINATI TORTURE AND DEATH CAMPS. After all, you are an enemy combatant, exempt from Geneva codes of conduct. Meanwhile of course, the Christian prophetic ministries will tell you, for the most part, that America is NOT IN Bible prophecy at all, and that nothing bad will come to this God fearing Christian and good nation of ours. I have often wondered how these folks can actually think that, but again, it is what it is, isn’t it? Of course, you have to understand these rich folks that rule over the world do not really think there is a God who is watching all of this. They say that NOBODY SEES THEM as they plot their little antichrist plots. But He who created their eyes, does see. And He who created their ears does hear. And he who created their puny little brains does Himself think. So the final conflict is almost here. The GREAT WAR OF ALL WARS. I am not speaking here of WWIII, but the FINAL CONFLICT. You know the one that brings down the fallen angels NWO, and their arrival and their new golden New Age world civilization – well it is what it is, and maybe it does not matter what the definition of is, is. For God Himself does say in Psalm Two that HE WILL SET JESUS CHRIST ON THE THRONE AS KING OF ALL KINGS. He even warns the blind and dumb RICH MEN, the LEADERS AND RULERS and the MASSES OF THE PEOPLE who imagine a VAIN THING that Jesus Christ will be installed at the end of it all. But who reads the Bible anyhow, and even those that do, who obeys it? VERY FEW. VERY, VERY, VERY FEW.